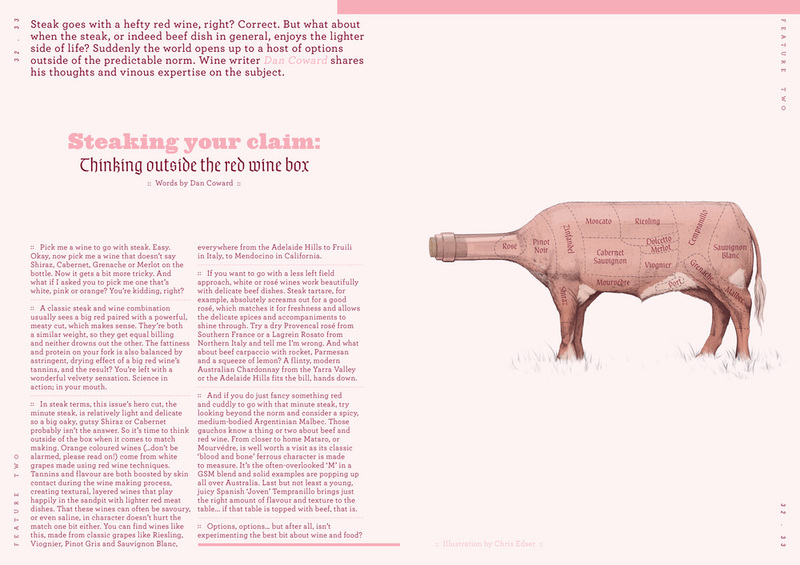 Illustration for the Rare Medium publication produced by Meat & Livestock Australia. The piece was written by wine writer Dan Coward about matching red wine with beef dishes. Graphic design and typography by Ryan Psaila of MASH Design.